Why Move to an Electronic Document Management System? If you haven’t already thought about moving to an electronic document management system, here are valid reasons why you should. 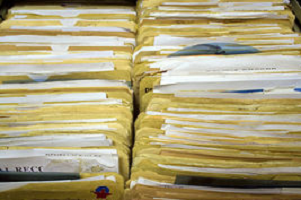 Reduced Storage Space: Mounds of paperwork can fill up precious office and storage space. Enhanced Security: Digital vs. hard copy paperwork eliminates the risk of confidential documentation getting into the wrong hands. 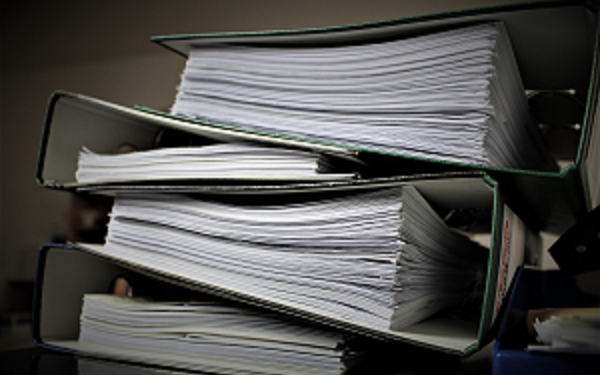 Improved Compliance: Paper documents are difficult to track and monitor. The costs involved with non-compliance could be hefty. Easier and Faster Retrieval: Searching for documents can eat up productive hours with wasted time and resources. Better Collaboration: Sharing documents allows for more efficient time management. The above reasons should prove that moving to an electronic document management system benefits staff, parents and your bottom line. There are various solutions out there so taking time evaluate what solution will work best for your school or district will be worthwhile. Secretaries are the secret superheroes of our schools. They are truly required to be a jack of all trades while keeping smiles on their faces. It seems as if a school secretary’s work is never done. Their job descriptions include a long list of tasks such as working as a liaison between the community and school staff, keeping student records up to date and transporting them, answering calls on multi-line phones, and much more. Administrative efficiency can make or break the reputation of a school district. In most school buildings, secretaries are the first people visitors interact with and thus the first impression they have of your school. This first interaction hints at your overall school climate. Is your central office empty because secretaries are filing papers in a back room? Or do your secretaries look frazzled and disorganized with countless stacks of papers cluttering up their desks? A bad first impression can discourage families from enrolling their children in your school or scare away a potential teacher you were hoping to hire. When the administrative staff is backed up, the entire district is backed up. You want your secretaries to be present, organized, and cheerful. This will create a better perception of your district overall. How Does Administrative Inefficiency Affect your District’s Reputation? Consider this scenario. One of your secretaries starts her day with piles of returning enrollment packets that need to be manually typed and logged in the school’s Student Information System (SIS) and a stack of record requests to be typed and forwarded to individual schools. Parents come to turn in registration papers and watch as their forms get added to a large pile of papers. Meanwhile, phone calls pour in frequently and the secretary answers in a distracted tone as she motions for another visitor to wait a minute. By the time she finds all the volunteer forms for him, she has forgotten where she put those registration papers. Not much has gotten accomplished for your school and the list of essential tasks to accomplish has grown rather than shrunk. She is too busy to help out other staff members. Here is another option. A secretary in your school logs into the administrator’s side of an enrollment portal and approves new students who have correctly filled out their online registration forms. Those approved flow directly into the SIS and are organized accordingly. Those that are not ready for approval are sent an automated message that their enrollment information needs more attention before the school can accept them into the system. Then your secretary warmly greets a couple who is considering enrolling their child at your school. She takes them on a tour around the building. When they ask for registration papers, your secretary directs them to where they can fill everything out online. A phone call comes in from another school that needs a former student’s records. Within a few clicks, everything is sent. A group of volunteers and the hired photographer, who have already filled out the necessary paperwork and submitted background checks online, are walked down to the gymnasium to set up their annual blood drive. The secretary returns to the office, grabs a cup of tea, and asks the principal if there is anything she can help with. The second scenario is clearly the more desirable one. So how can it be accomplished? Administrative technology transforms these cumbersome traditional tasks into a series of clicks that streamline, organize, and automate a school district’s electronic filing cabinet, allowing your administrative staff to spend more time being personable and present with your community. In recent years, the amount of money poured into technology for schools has been increasing, but mainly in classrooms. Technology geared to the administration positively affects the district’s bottom line, and the secretaries’ efficiency and attitudes, by streamlining their daily tasks. If you expect your students to embrace technology, the rest of your school needs to embrace it as well. This includes your hard-working secretaries. Rather than swimming in pools of paper, many secretarial tasks can be completed more accurately and efficiently with the proper tools. Student registrations, volunteer clearances, and record requests are just a few of the tasks that can be reduced to a matter of minutes and clicks. When freed from spending so much time on tedious tasks, your secretaries can spend their energy elsewhere. They can answer family’s questions, assist teachers in overflow tasks, and manage schedules. Secretaries appreciate cards and kind words complimenting their work. But the best way to show you realize the complexity of their job is to help make it simpler. Making their job more efficient means they can accomplish more each day without having to work overtime. Your parents will enjoy the increased attentiveness, your teachers will be less stressed with the extra help, and your secretaries will benefit from the increased focus. Secretaries are everyday superheroes, but even superheroes can use some help from time to time. When you give secretaries the necessary tools to succeed, your entire school runs more smoothly. How does sharing academic progress with parents impact student success? When districts digitize their student documents, many workflows and everyday tasks become easier with less room for error. One such process is keeping academic information accurate and updated. This must be done to ensure parents are aware of student progress and able to provide the right support at home. Why is this important? Research has shown that simply sharing progress reports and similar academic documents with parents can have a major impact on student success. 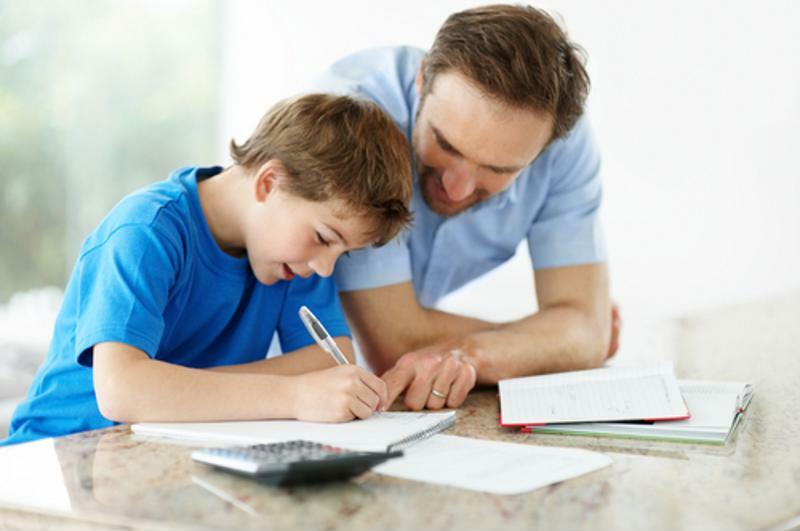 Sharing academic progress with parents enables them to be more helpful at home. How do schools make sure that parents are actively working with students to help them excel in their studies? It’s not only up to the school to have all of the relevant academic information ready to share with parents, but to make an effort to include them in discussions that revolve around student performance. A 2012 survey by MetLife found that parent engagement has increased dramatically over the past 25 years or so, with 80 percent of parents reporting that their children’s school has helped them understand their academic progress and how to provide the right support at home. One of the reasons for this significant improvement is the ability for schools to digitize their student records. How can online solutions help? With online school solutions like SRC Solution’s Central Records Gateway, school administrators are better able to maintain student folders with clean and up-to-date academic data. This is challenging with paper documents, as there’s more room for error when completing millions of student forms with accurate information. Security breaches and misplaced files are also common problems that districts face when dealing with paper forms. When these obstacles are in the way, it’s difficult to keep parents in the loop and provide them with the academic data they need to stay involved in their children’s schooling and contribute to any decisions regarding their education. Online student software like Conference Gateway also streamlines processes required for conference scheduling. Instead of manually signing up for meetings, parents can log into the system at home and choose an open time. After parents book a conference, they can leave messages for the teacher explaining exactly what they want to discuss. This has proven to increase parent engagement at conferences. This is essential, as parent-teacher meetings are where important academic information is shared and teachers are able to suggest ways in which parents can most effectively support their children as they strive to succeed in school. While parent engagement has increased over the years, districts using paper-based workflows can continue to make improvements by switching to digital student solutions. With software like the ParentShare Gateway from SRC Solutions, updated student data can be shared at the click of a button to keep parents in the know and increase engagement for student success. Eagle County Schools implemented a new Online Student Registration Solution called Registration Gateway to streamline the student registration process. What was typically a paper based process has been transformed into a simplified and automated process of data collection, cleansing and distribution. Registration Gateway has provided Eagle County Schools the ability to take clean and accurate registration information online and feed that data real-time into its PowerSchool Student Information System. Registration Gateway expertly led our transition from a paper-oriented registration system to a digital, online oriented system, saving our registrars and parents significant time and frustration. Implementation and launch was on-time and seamless. I highly recommend Registration Gateway to any school system thinking about modernizing their registration process. – Brian Brugger, Senior Systems Administrator Eagle County Schools. In addition to the initial deployment of Registration Gateway, Eagle County Schools has chosen to expand the relationship with SRC Solutions by tackling the task of digitizing existing student records with the SRC Solutions Gateway Scan. “We are looking forward to the additional functionality of the forthcoming Eagle County Schools ScanSite and how it will streamline our daily functions around electronic student records. We’re especially excited about the ability to upload documents in an organized and consistent manner,” said Brugger. The benefits of the Registration Gateway Solution are two-fold. Registration Gateway saves the district money including the hard costs of paper and printing but also speeds up the registration process allowing district personnel additional time to take on other tasks. From the parent’s perspective, Registration Gateway allows parents to complete their children’s registration anytime day or night from any internet enabled location of their choice. Registration Gateway also has an integrated scheduling application that allows parents to schedule appointments with Eagle County Registrars to complete the process. “We are thrilled to have Eagle County Schools as our partner and are even more excited that Eagle has expanded their relationship with SRC Solutions” said Patrick Maher, CEO SRC Solutions, Inc.
SRC Solutions flagship product Registration Gateway has had a long and successful partnership with K12 school districts. Being a technology leader is nothing new to SRC Solutions. 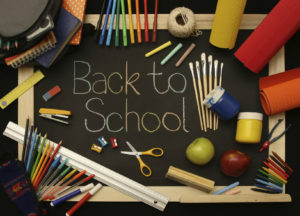 Whether it is our integration with PowerSchool dating back to 2008 which offered the first Online Enrollment solution to offer real-time data integration of both standard and custom fields into PowerSchool or our completely integrated document management solution Central Records Gateway delivering Electronic Cumulative Folders.